Connie Booth (born 31 january 1944) is an American actress who played Mrs. Hudson / Francine Moriarty in 1977 in the parodic TV movie The Strange Case of the End of Civilization as We Know It with John Cleese as Arthur Sherlock-Holmes. 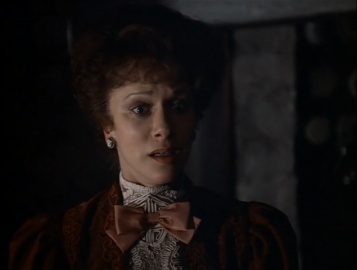 She then played Laura Lyons in 1983 in TV movie The Hound of the Baskervilles with Ian Richardson as Sherlock Holmes. 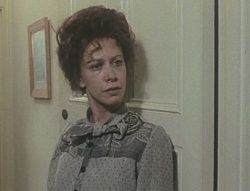 She also was Violet Morstan in 1987 in TV movie The Return of Sherlock Holmes with Michael Pennington as Sherlock Holmes. This page was last edited on 4 August 2017, at 10:18.